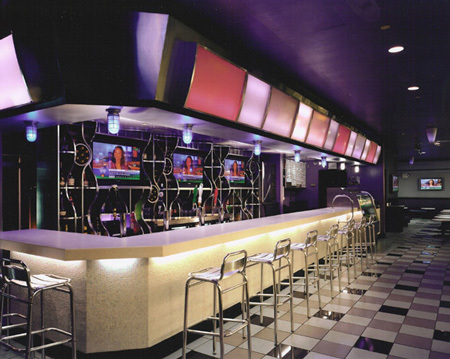 An outdated bar was closed & within three weeks transformed into a stylish full service Sushi Bar & Lounge. This transformation was economically achieved through the re-use of the existing lay-out and utilities. To enhance liquor sales, the back bar became the primary focus. 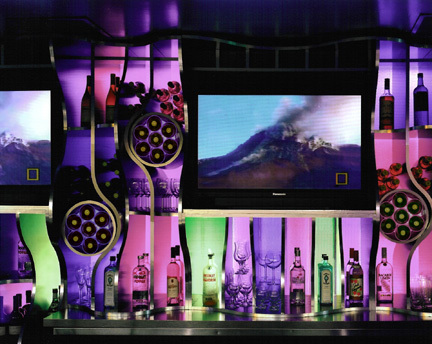 This was accomplished by using color & an intricate serpentine profile for the shelving.